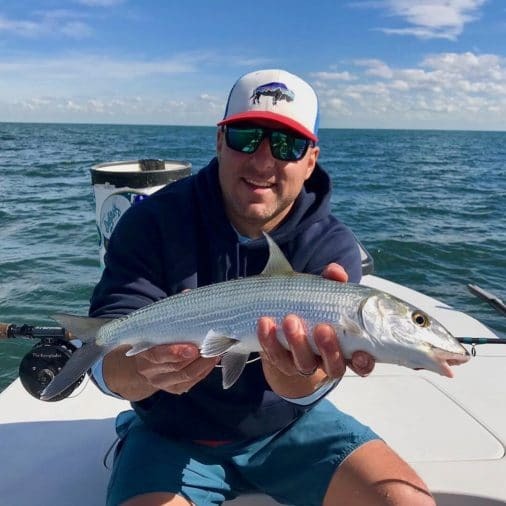 Miami flats fishing report November 30, 2018 fishing with Chris and Jeremy Cox from Oregon. We just had our first real cold front move through and the air temperatures dropped down to the low fifties. The day in Miami’s Biscayne Bay started off a little slow with the winds blowing out of the north east. Along with cloudy skies, this maid sight fishing with a fly rod very challenging. After fishing a few spots with no success, the winds shifted more out of the north and the skies cleared up for us. We managed to find an area that were holding bone fish in deeper water, typical for bone fish when the water temperatures drop. Chris and Jeremy managed a few bone fish a piece along with several other jack species all caught with the fly rod. 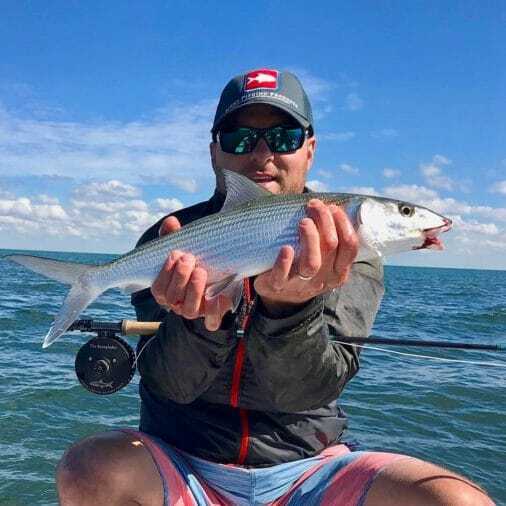 Shallow Tails Guide Service, Inc.
Jeremy with one of his Miami winter Bone fish las day of November 2018. Twin brother Chris with one of his bone fish on fly.